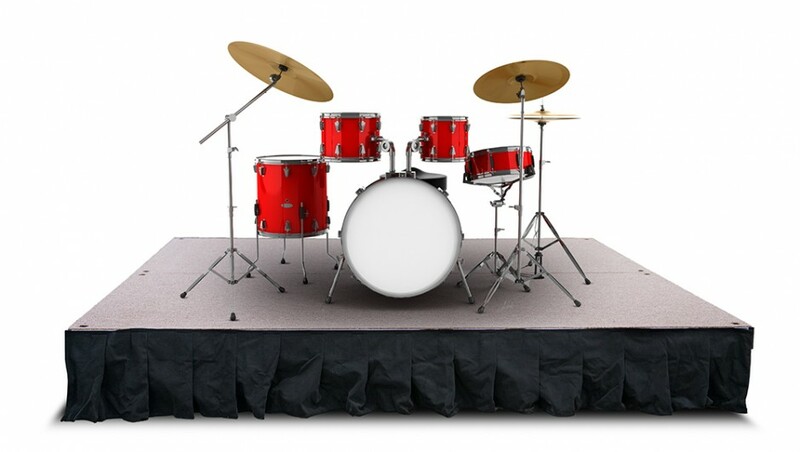 Keep the beat rolling on the StageRight rolling drum riser. 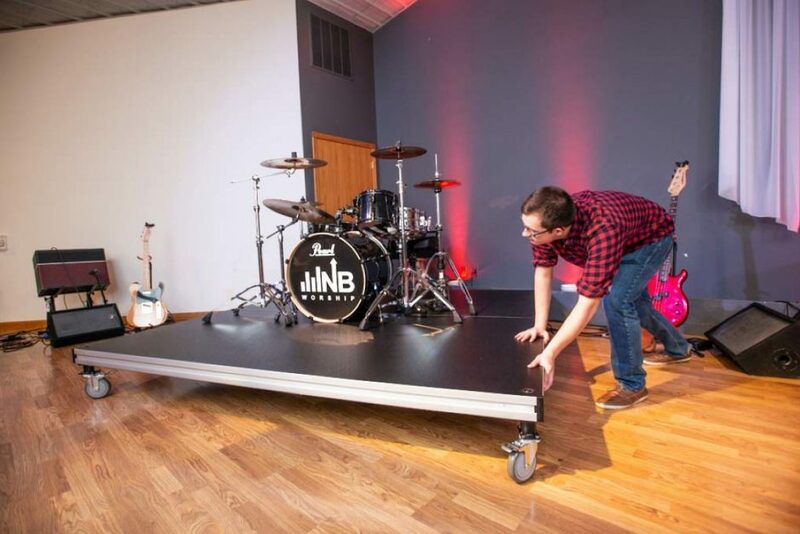 StageRight’s Rolling Drum Riser is a welcome addition to any venue. 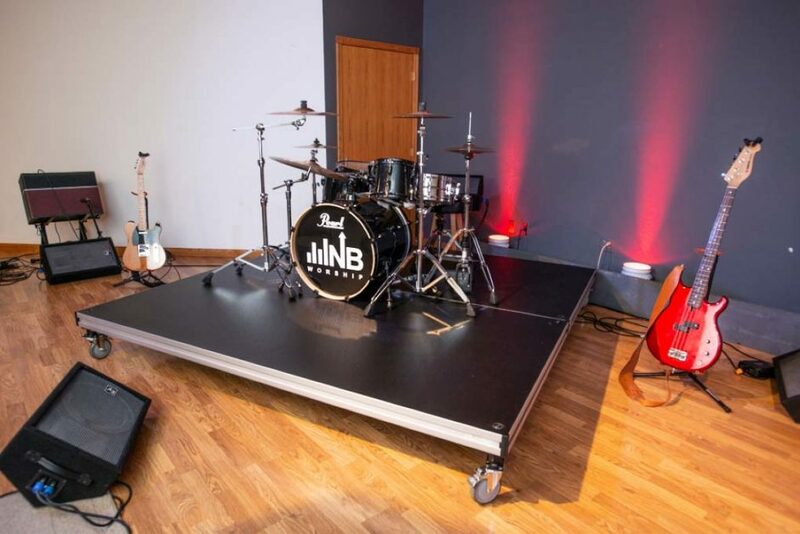 Utilizing the all purpose portable staging decks and 12” drum riser stub legs with swivel locking casters, you can assemble and move this music riser to any part of your facility and lock it into place. The dual sided portable staging decks provide a longer wear life and allow for two surface options. They’re also lightweight, quiet and sturdy to give the feel of a permanent surface. 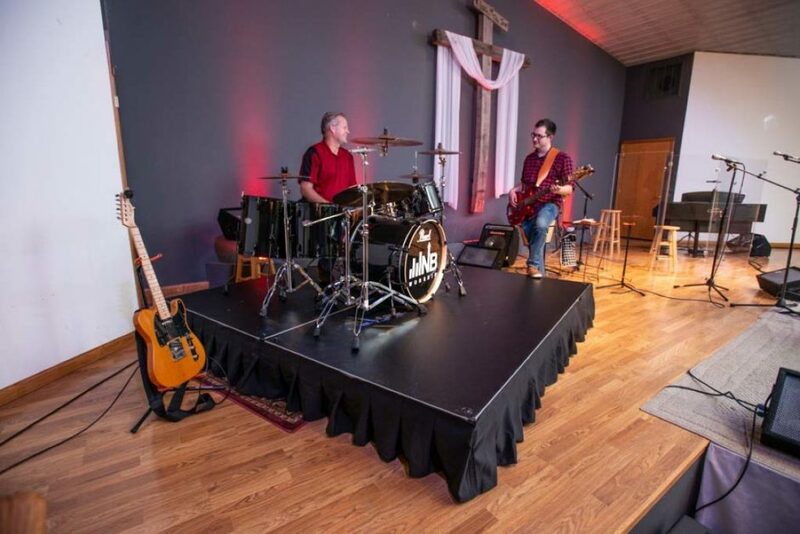 The rolling drum riser stub legs with swivel locking casters come in a single or dual variety to provide the versatility and safety features that every facility needs. Various sizes available depending on the number of decks used (8’ x 8’ pictured here). Other sizes provided are 6 x 6 and 6 x 8. 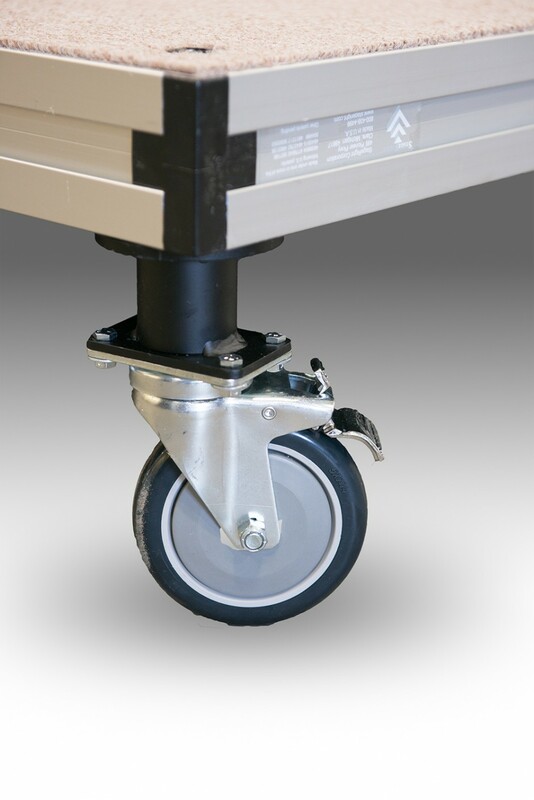 Swivel locking casters come standard on the rolling drum riser. This makes it portable and allows for easy mobility. Just roll it into place and engage the locking casters. The dual-sided, honeycomb core decks provide flexible surface options and they double the wear life. Skirting options are available on all 4 sides to give your riser a finished look. StageRight skirting attaches easily to save you valuable set-up time. 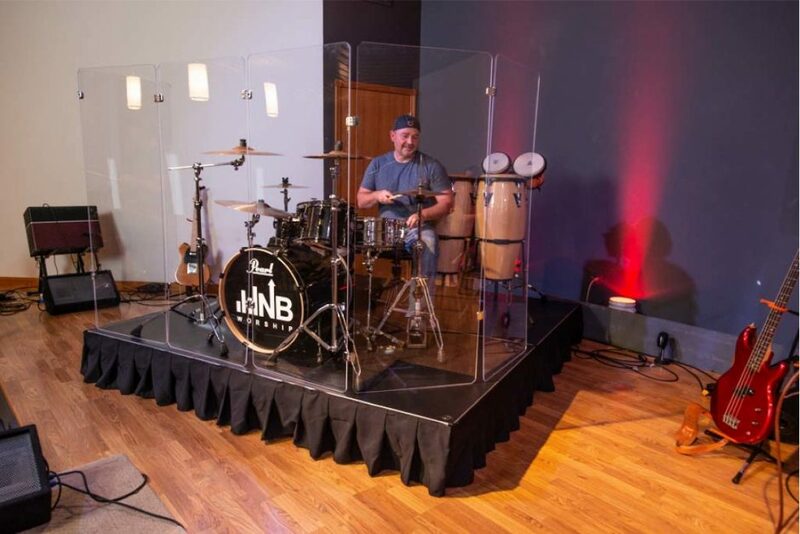 Due to its custom nature, and abundance of options available for the Rolling Drum Riser, please contact a sales representative at 800-438-4499 to discuss your facilities needs and to receive design assistance, specifications and pricing.